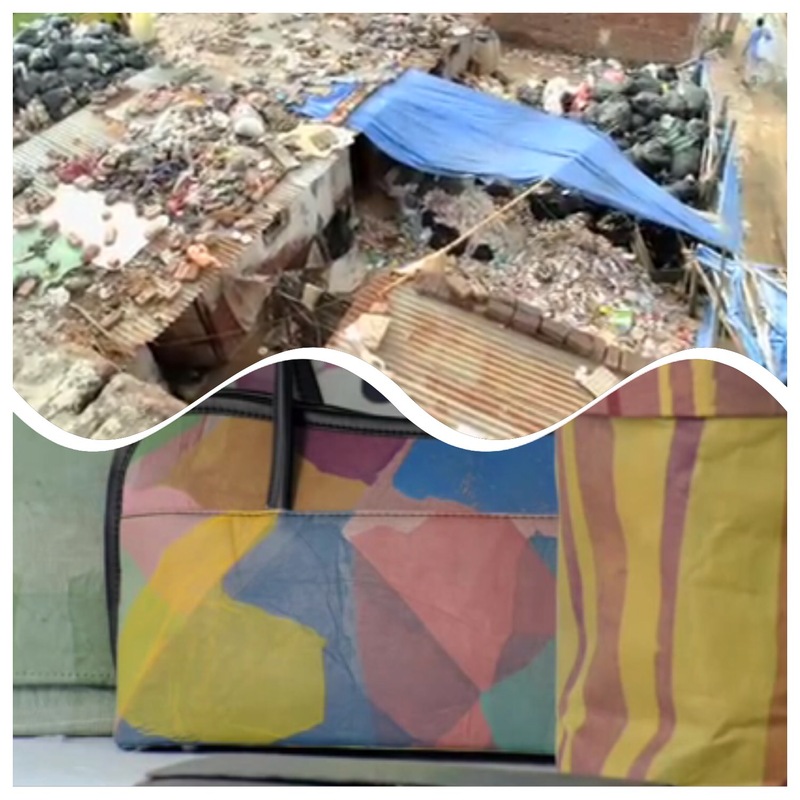 From India’s mountain of waste to fashion – Go India, go future! When I went the first time to India I was shocked by all the plastic waste on the streets, in front of the houses, in the Indian Ocean… Plastic bags, a thousands and thousands of plastic bottles, often combined with a bad smell. It does not just look ugly, but is the source for disease and an unhealthy environment. But solutions are coming up. Small ones, still far away of solving this huge problem. However, I was impressed to learn about Anita Ahuja who – together with her husband – has set up a NGO, Conserve India, and produces interesting bags out of the plastic. That’s not all. She even gives people from very poor surroundings an income. A social entrepreneur ‘par excellence’. Her concept is not just to recycle, but upcycle. “Today, Conserve India employs and trains hundreds of people from Delhi’s most disadvantaged communities to clear their streets of the plague of plastic bag waste. Once the waste bags are turned into handmade recycled plastic (HRP) products they are sold for profits which can be spent in those same communities on education and welfare programmes.”, explains Anita on her Website.